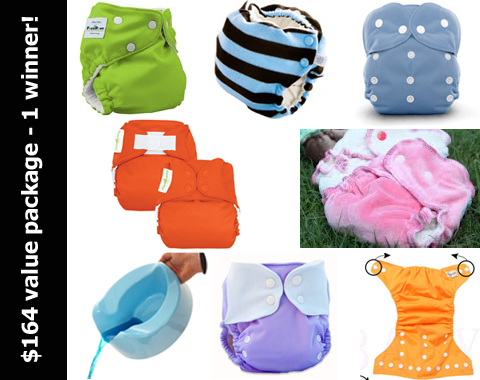 Eco-Babyz: Fluffy Butts Cloth Diaper Hop Giveaway ($164 value)! Fluffy Butts Cloth Diaper Hop Giveaway ($164 value)! Welcome to the Fluffy Butts Cloth Diapering Giveaway Hop. This Giveaway Hop is hosted by Fabulous Finds and Mama Chocolate. This Giveaway Hop features all cloth diaper themed giveaways with a value of $25 or more at each of the participating blogs! Be sure to visit each blog from the linky below and enter for your chance to win some really amazing prizes! This event will end on June 15th at 11: 59pm EST. Tail Feathers: The bamboo fitted diapers handmade by a wonderful mom are super absorbent and designed to be one-size. They will grow with your baby and they are oh so soft! We absolutely love these and you can win one as part of the prize package. Full review. Thirsties: You may already know we love this brand, especially the new, super easy to use Thirsties AIO Cloth Diaper. The tunnel design cuts drying time, absorbency may be customized, and the inner stays dry against your baby's skin. You will win one AIO in your choice of closure and color as part of this package. Full review. Ecobubs: We have used Ecobubs wool pocket diapers with both of our babies and love them! They are great for night time and any time. We love the amazing properties of wool, the feel, the look, the performance, it's one of our favorites. Full Review. Pourty Potty: When your toddler is ready for the potty, I recommend the Pourty Potty. If you think all potties are the same (what I thought), you are wrong! This one will change your mind, I won't use anything else with my babies. It's just so easy and convenient, no mess, no spills, super comfortable, compact, sturdy, simple. By the way, it's nice to transition to the potty earlier rather than later, before the not-so-easy-to-persuade age of two - cuts your laundry load! Win one potty for your little one as part of the prize package. Full Review. Driline Baby: We love the Driline Baby Bamboo AIO diaper, it's one of few that holds up to our heavy wetter without a doubler. It's amazingly soft!We also love that it is made in Canada. Win one as part of the prize package. Full Review. Sunbaby: A simple pocket diaper at a low price that will have you raising eyebrows (like $5 each). We use this one almost daily with two inserts and it has held up well, has a great fit. Win one as part of the prize package. Full review. One of you will win the entire prize package! Disclaimer: I did not receive payment for this post. I was provided samples of the products in the past for review purposes and through on-going relationships secured prizes for this giveaway. The opinions are solely my own and your experience may differ. Fabulous Finds, Mama Chocolate, and the Fluffy Butts Cloth Diapering giveaway hop bloggers are not responsible for sponsors that fail to fulfill their prizes. I am excited about the Thirsties AIO! i am most excited about thirsties! i have want to try them forever! I'm excited about the Sunbaby diaper. ecobubs! I've been wanting to try them! Tail Feathers - I love bamboo products. I am excited to win the Ecobubs wool pocket. I haven't been able to afford and wool and only use my own covers repurposed from sweaters. They tend to leak. I would love a "real wool" experience. The "Tail Feathers" diapers look so soft!! I reeaaaally hope I win so I can get one of those. The "Pourty Potty" looks great, too! The pourty potty because I'm potty training my son. I'm really excited to try the Bungenius Freetime. I like all the diapers. I am new and trying different brands so these are great! I am most excited about the all the cloth diapers I am getting a baby shower gift ready for a mother who is having twins. But she can also use the potty chair because her older daughter who is 18 months old will soon be ready for potty training. I'm excited about all the diapers! We don't have many and in Oct. we'll have 2 in cloth, so we really need to build our stash! I am most excited about the driline bamboo aio. I'm excited about all the different types of diapers because I love trying out new styles! Tail feathers looks awesome I'm most excited to try those!!! Ecobubs! I'm needing a new nighttime diaper. I love the BG Freetimes and would love to add more to my stash! Its a great AIO, and quick to dry. Excited about ecobubs. I am needing a new nighttime diaper. I am most excited about the Pourty Potty! How convenient and mess free! The ecobub! I love wool! The Ecobubs wool pocket. I would love to try a wool diaper. I'm most excited about Thirsties! I'm most excited about trying the Thirsties AIO. I love their covers & pockets & am eager to try the AIO. I'm excited to win the Thirsties AIO because I love the Thirsties products I've tried and would love to try more! I am so excited about Thirsties!!!! I want some so much! Ecobubs - I've been wanting to try these!! I really want to try the Thirsties AIO. I love the covers and have been wanting to try an AIO for out and about. I'm totally excited about all the different diapers! Not only am I building my stash, but I'm helping a friend build hers, too! All the CD wow!! Thanks for the giveaway!! I'd really love to try the EcoBubs...always looking for a good nighttime diaper! I'm most excited about the Driline Baby. I love trying new diapers and I need one for a heavy wetter right now! I'm excited about the Thirsties diaper. Excited for all cloth diapers, I would like to try on my newborn baby in October! A big fan of thirsties! Oh my goodness it's hard to pick just one thing! I'm excited to be able to try out some wool and bamboo dipes. I've always wanted too! Thanks! I'm excited about both the potty and all the different cloth diaper options- there are some I haven't tried yet! Most excited about the ecobubs! I'm excited about the BG free time, but because we're on the cusp of potty training, I'm also excited about the pourty potty! excited for the Pourty Potty: we are just about to potty train... baby #2 arrives in october!! Ecobubs or thirsties. Mi love trying new diapers! I am excited to try a wool diaper. I have a heavy wetter at night and am looking for a better solution. I am most excited about the thirsties! Love that you highlighted the Pourty Potty-- we bought one based on the reviews and love it so far! I'm excited about the Ecobubs! I am most excited about getting to try all of the different cloth diapers. The tail feather fitteds! I love using fitteds on my little one, and these look adorable! This would be an awesome prize package to win! I don't know which I'd be most excited about! I think all of the prizes seem great! I've never used any of those brands, so it would be nice to try out a few new items! The sun baby diaper because I want to try it out, but on her website you have to buy in bulk. Most excited about Fuzzibunz! I have wanted to try them out for quite some time! I need this! I am wanting to switch to cloth, but I have NO IDEA where to start. This would be a great way to dive right in! I am most excited about trying all the different kinds of cloth diapers. It's hard to pick I've never used any of these brands before! I guess the potty cause that means less laundry! 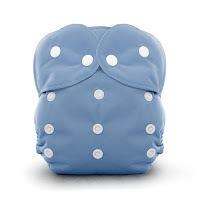 Im excited about all of the prizes but I really am beyond excited about the Ecobubs wool pocket diaper! I have really wanted to try one of them for awhile now. I am most excited about the Sunbaby diaper. I have heard great things about them, and I was actually considering them for this baby. I have most excited about the BG Freetime, because we have ONE in our stash and I LOVE it. It's an awesome nighttime diaper for our little guy with an extra insert! Great contest! 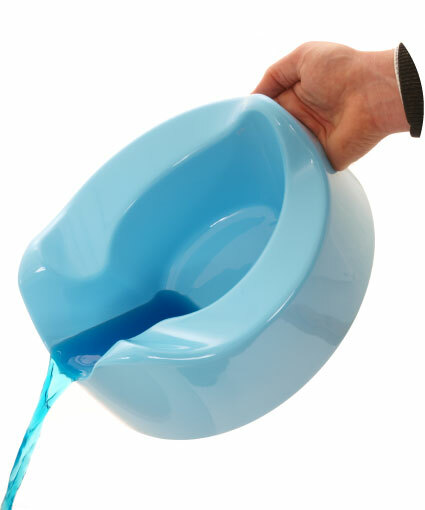 The pourty potty looks like it could come in handy! The Bumgenius Freetime, although I should be more excited about the Pourty Potty since my daughter is 18 months old and her diapering days are numbered! I would love the Tail Feathers diapers because I love bamboo. All the diapers since I'm a newbie! 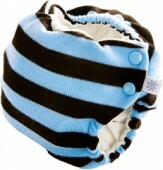 I'm excited about the BumGenius and FuzziBunz diapers! I want the Tail Feathers! I'm excited about all of the diapers- my stash is primarily FB but I'm still looking for that perfect fluff to round it out! I'm most excited about Ecobubs. The Freetime would be awesome!! I'm most excited about the Tail Feathers bamboo fitted. I love bamboo and think I will love fitteds! I'm most excited about the Pourty, because my toddler is getting pretty close to that transition point. Trying out the thirsties diaper, I have heard so much about them! The Tailfeathers fitted diaper. I don't have any fitteds yet! I'd love to win the Thirsties AIO. My favorite diaper! 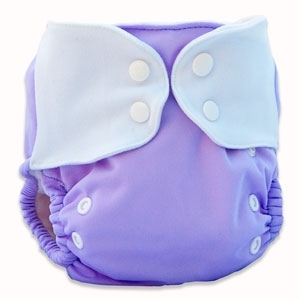 I would be most excited about the Tail Feathers diaper because I love bamboo diapers and these are super cute! Tail Feathers, would be nice to try these! Ecobubs! Would love to try wool, especially at night. All the cute fluff! I really can't pick!! I've been waiting for a chance to try a bumGenius Freetime diaper! AHH! The diapers!! WOuld love to try the fuzzibunz! Tail feathers bamboo fitted diaper! I want to join the fitted love too, but can't afford any at the moment :(. I am excited about the ecobub diaper! I have been wanting to try wool and love pockets so this is the best of both worlds! Excited about Tailfeathers, and the BG Freetime! The Bum Genius Freetime because I'd love to try one! Ecobubs, I have been wanting to try one for a long time! Excited about the Thirsties AIO! I want to try the Ecobubs. I haven't tried a wool diaper! The Bumgenius because I would love to try one of them. I really want to try the bumGenius Freetime diaper! I am most excited about the diapers from Thanks Mama! 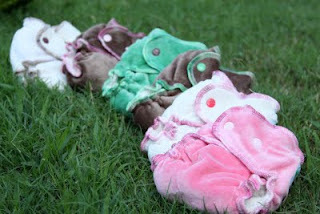 And I am most excited about them because I have never tried BumGenius OR Fuzzibunz and would LOVE to!!! I'm most interested in that Ecobubs diaper! I'm excited about the driline AIO! The Ecobubs wool pocket diaper! I'm still new so all of this is exciting!! I'm most excited about the ecobubs diaper! I have been eyeing them up for a while now but haven't had the money to buy one! All since i have only tried flips! I'd love to win the Ecobubs wool, because it is adorable and I would like to try wool for nighttime. Thank you! EcoBubs, because I love stripes! 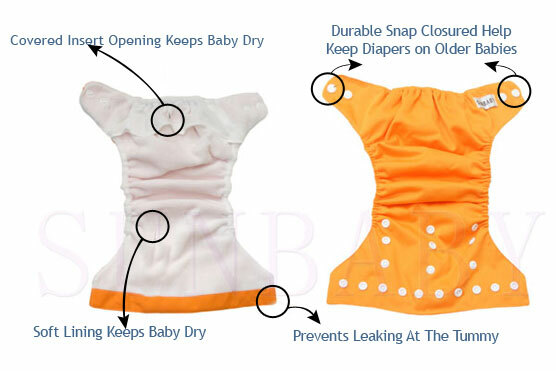 I am excited about the Bumgenius Freetime and the Sunbaby diaper! I'd love the pourty potty! I am excited about the Thirsties AIO because I like the ones I have. The Pourty! We need a training potty very soon! The tail feather bamboo fitteds. 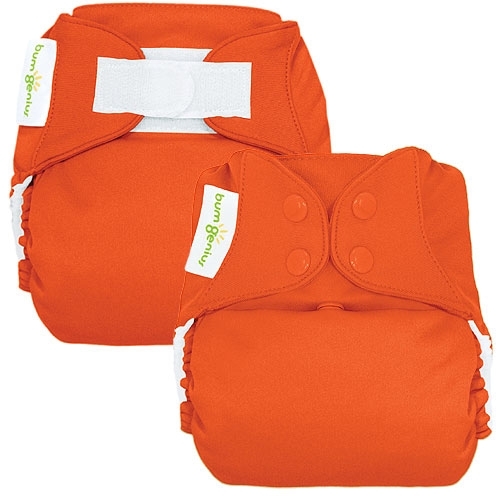 Love any and all diapers with bamboo, but been wanting to add more fitteds for baby #2. Oops. Why? Because I love wool and a pocket with wool would just be awesome! The pourable potty chair. It seems so much easier to use! The Ecobubs diaper looks amazing! I use wool covers especially at bedtime but I've never seen/heard/thought of an entire pocket diaper made from wool!!! Sooo excited!! Ecobubs - I've been wanting to try these so much!! Sunbaby- they are affordable and I'd like to try them in person! I am most excited about the thirsties and the freetime. two of my favorite diapers! All the prizes are fabulous!! However I have been wanting to try the Ecobubs so very excited ab out this one!! I'm excited about all the different diapers as I am just getting started and only have 3 right now but I must say the Tail Feathers one looks soooo soft! I'm most excited about the pourty, we are ready to try some early potty training! I'm excited about the Pourty Potty. My girl is so ready for the potty. I'm most excited about the Ecobubs. I've been wanting to try one for so long. Well, one that I am very excited about is the Tail Feathers fitted. When I saw that picture of the pink fitted, it makes me want a girl. I am 7 weeks pregnant, and don't know what I am having yet though, but that fitted makes me want a girl! Lol! the bumgenius and the fuzzibunz! I love them both! Ooooh I want an Ecobubs! i think I'm most excited for the Tail Feathers diaper. I LOVE bamboo diapers. I would love all of it, especially the potty, but love bamboo!!! I am really excited about the Driline Baby Bamboo AIO diaper and the Ecobus diaper because I have never tried them and they seem wonderful for overnight! I am most excited about the ecobubs. although all of these prizes make me smile. I'm excited about the thirsties! I've heard so many great things about them, would love to get to try them for myself! I'm most excited about the Ecobubs diaper. I have not used one of those before, and I think they are so cute! Most excited for ecobubs diaper! I'm most excited about the Ecobubs! I've wanted to try one for a while now! I am really excited about the Tail Feathers! I would love to try one of her diapers, especially a bamboo fitted! All the others are awesome too!!! ecobubs because they are a unique type of diaper. Ecobubs wool pocket diapers - haven't tried wool diapers yet! I'm most excited about the Thirsties AIO diaper, because I just recently tried the Thirsties Duo Wrap and loved it. I'd love to try more Thirsties products! I'm most excited about the Thirsties AIO diaper, because I just recently tried the Duo Wrap and loved it. Now I'd love to try more Thirsties products. Always wanted to try Ecoline!